Do you need some Hello Kitty coloring pages? If you are having a Hello Kitty party theme for your child's next birthday these coloring pictures will come in handy to use as a party activity. Or you can put some in a goodie bag with a box of crayons and you have a party favor! This is such a popular theme for younger kids. Kids love to color and these printable pages are free...now how can you resist? You can find 33 Hello Kitty coloring pages at this first link. Print out one or all for some party fun. Hello Kitty was born on Nov. 1, 1974 in London, England. Kitty is great at baking cookies, making pancakes and bows! Her favorite food is Apple pie. She likes to travel, read and most of all...make new friends! She also has a twin sister Mimi who she loves very much. Print them all out, or just a few, which ever you prefer. You can use them at a party, but you can also use them on a rainy day when your kids are stuck inside with nothing to do. You can just print these pages out and there's a fun activity. You are going to amaze your kids with all your great, fun ideas Mom! They are going to be wondering how you are so smart. You always know how to help them have fun. Find everything Hello Kitty. Hello Kitty is a very popular kids party theme and pre-school kids just love this little kitten. Find lots of fun ideas here! Sweet and adorable! 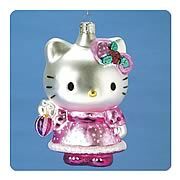 Great for any Hello Kitty fan! Stylish Hello Kitty! Decorating with Hello Kitty has never been so much fun. These adorable Hello Kitty Butterfly wall stickers will liven up any room. Place them on walls, furniture, mirrors, accessories and any smooth surface. Comes with pastel butterflies and softly colored flowers. 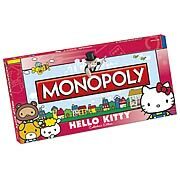 Hello Kitty and Monopoly...together at last! Created with fans in mind! Features exclusive game components! This Hello Kitty Collector's Edition Monopoly game's custom game board features locations from Hello Kitty's world! 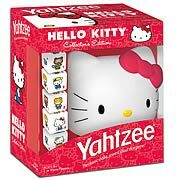 Includes 6 collectible Hello Kitty-themed tokens. Order yours today! Say Cheese! This Hello Kitty puzzle featuring the sassy little kitten herself wielding a camera is just the right size for your little one! The larger pieces are perfect for little hands and are made of durable material for long-lasting play. Capture special moments with friends and family using this digital camera that features 8x optical zoom for precise zooming and accuracy and a Secure Digital card slot for storing or transferring media.